KANSAS CITY, Mo. 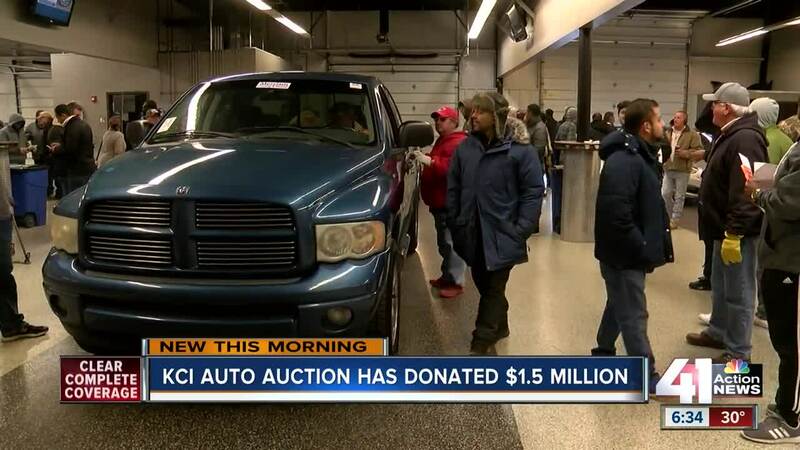 — Every car sold at the KCI Auto Auction helps women and children in need. Over the past six years, the auction has donated $1.25 million to three Kansas City-based organizations. The auction's managing partner said the Kansas City community helped sustain the auction during the Great Recession. Once the auction got back on its feet, employees decided to set up a charity to give back. They established the KCI Cares 501(c)(3) and chose three charities to help based on their work with women and children: Sheffield Place, Camp Quality Greater Kansas City and Jackson County CASA. KCI owner and general manager Doug Doll stayed humble and said the people who run those organizations are the true heroes. Jackson County CASA trains volunteers to assist foster children in court proceedings. The organization said donations from the auction allow it to make a difference in the lives of more children. This year, CASA expects to help more children than ever, making donations all the more important. “They really care, and we're really lucky to see their work and to get to be partners with them and see their generosity in action,” said Angie Blumel, president and CEO of Jackson County CASA. Sheffield Place provides housing and transitional programs for homeless, single mothers and their children. Camp Quality provides camps and programs for children with cancer.